Carrying on wit the series of quick and tasty lunches I branched out in the Tuna section. 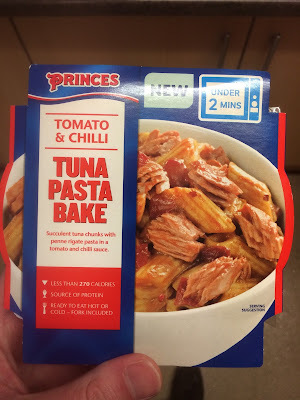 Here we have a Princes version of the little pasta tubs that I ate a few weeks back. It's cheap and it's quick, but it shows. It's a lot closer to the funny little pasta pots than the tuna pots looked at. 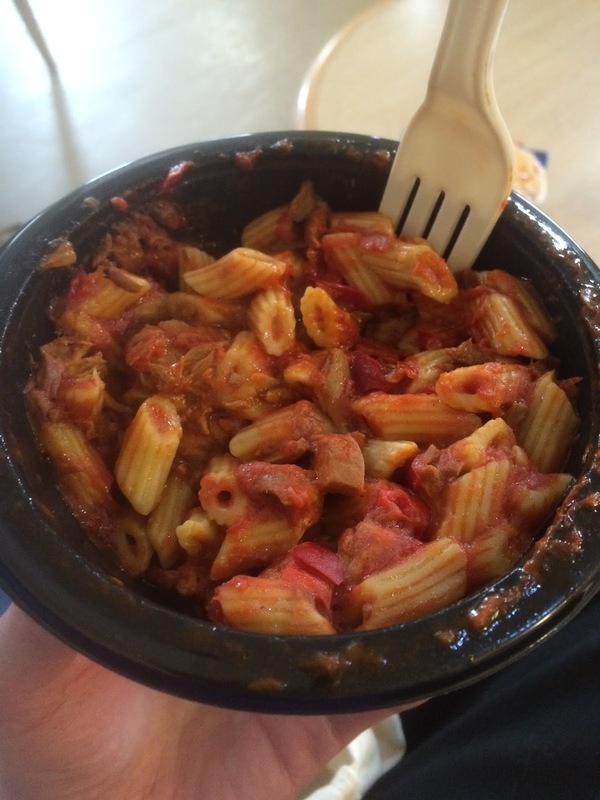 Everything gets microwaved together and everything gets that babyfood texture and same flavour. This is unfortunate as I thought that this might be a viable lunch. The chilli tingle and the tomato flavour are both present, but the texture is so off-putting I'm not rebuying this. If you are on a tight money or time budget then you may consider this, but the Fray Bentos lunch pots were a better budget option. If you are after quality tuna lunches then the John West pots work so much better.